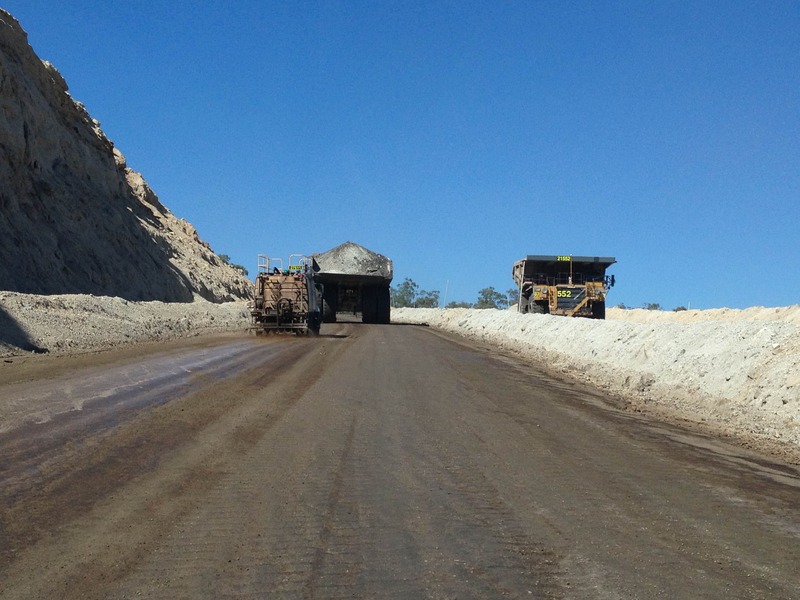 Achieving an effective and consistent dust management solution for mine roads is an ongoing challenge for mine operators. This is mainly because there is no single product or process that can be used to achieve optimal dust control across an entire mine site. Consider that a typical mine site is made up of both permanent and short term roads, ramps and flat roads, all of which will need to cope with varying types and volumes of traffic. So it stands to reason that a dust control measure which works for a permanent road won’t necessarily work sufficiently or be cost-efficient on a temporary haul road. This demonstrates that relying on water trucks alone, or a single type of dust control product, isn’t a practical or cost-effective approach to achieving dust control across an entire mine site. All of the factors listed above need to be taken into account when deciding on which combination of dust control solutions to use. Because there is really no “one size fits all” approach that can be applied to dust management for mine roads, Dust-A-Side has developed a comprehensive range of dust control products to suit every type of mine road or access point. 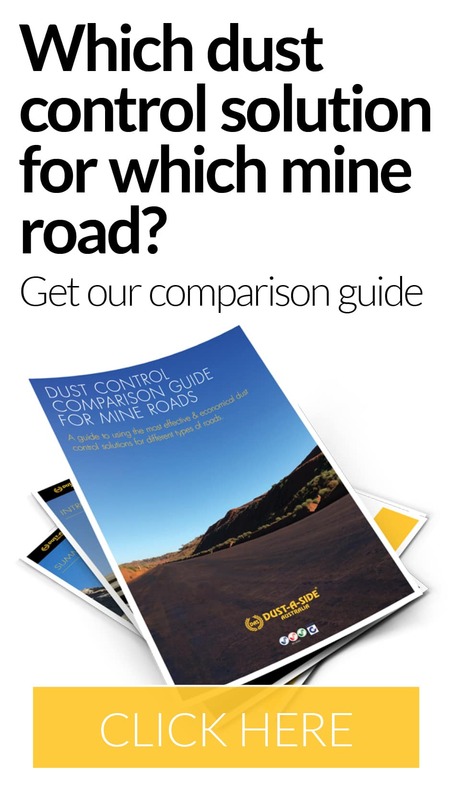 In our Dust Control Comparison Guide for Mine Roads eBook, we explore in detail which Dust-A-Side road management solutions are typically implemented for different types of roads in terms of ensuring an effective yet economical approach to dust reduction. For example, the unique properties of our DAS Product makes it a suitable solution for permanent primary haul roads with high traffic volume. Whereas for short term shovel and dozer access pit roads with low-medium traffic volume, Hydrowet would be the recommended solution. This further highlights the need for a combination of different measures to be employed in order to achieve the highest possible level of dust control across an entire mine site. The experts at Dust-A-Side will develop an all-encompassing dust management solution for your mine site which will improve economies of scale, drastically cut water consumption and prevent harmful dust particles from being released into the air. To learn more, get in touch with us today or click here to arrange an on-site technical consult and report. For further information, advice or assistance with any of Dust-A-Side Australia’s proven products or services, simply complete this form and we will get in touch with you ASAP.